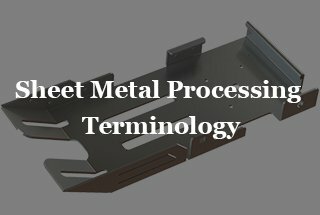 The sheet metal technological process may vary, but not more than the following stated 10 processes. Also called three view drawing. 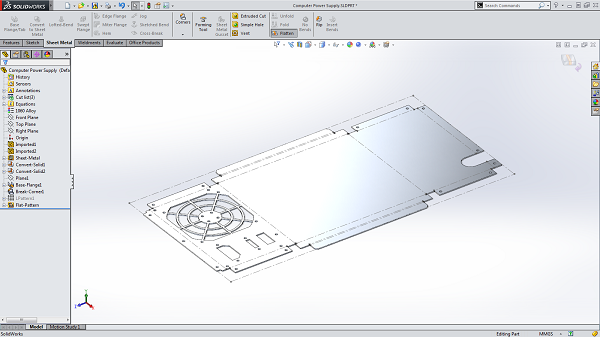 Its role is to express the structure of sheet metal parts by drawing. which is to expand the parts with complex structure into a flat piece. A. Blanking by shearing machine. It is used to cut out the width and length of the expanded graph with the cutting machine. 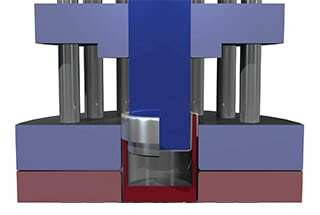 If there are holes need to punch or corners need to notch, then the purpose can be achieved with the punching machine combined with the die. 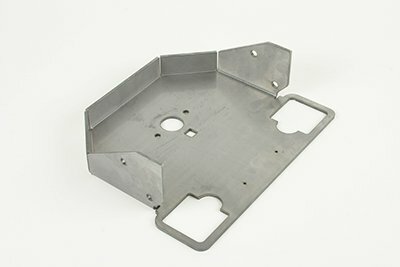 The structure of the plate is formed after the parts are expanded by using the press with one step or several steps. Its advantage is that the time is short, the efficiency is high, can reduce the processing cost. It is often used in mass production. NC blanking must programming first, which is using programming software to write the expansion graph into programs which can be recognized by the NC machining machine tool and then punch out the structure shape from the flat pieces according to the program. D. Laser cutter blanking, which is made use of laser cutting method to cut out the structural shape on the flat pieces. 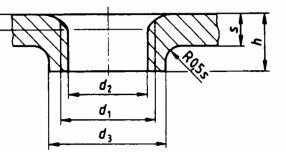 The flanging is also called perforation, which is to draw a slightly larger hole on a smaller base hole and then tap on the hole. This will increase the strength and avoid the screw loose. 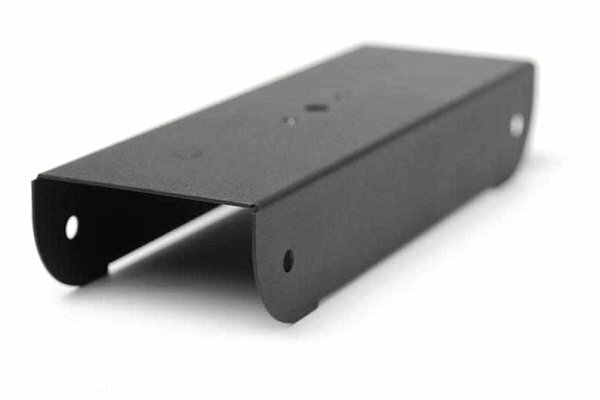 Generally used for thin sheet metal processing. When the plate is thick, such as 2.0, 2.5mm, etc., we can directly tap the wire without turning over. Generally, the punching process includes hole punch, corner notch, hole punch blanking, punch convex hull, tearing, draw hole etc. The process needs to have the corresponding mold to complete the operation. Convex hull punch has convex mold while tearing punch has tearing forming die. The factory often USES the pressure riveting stud, riveting nut, riveting screw, etc. The riveting method is usually accomplished by punching machine or hydraulic riveting machine and riveting it to the sheet metal parts. 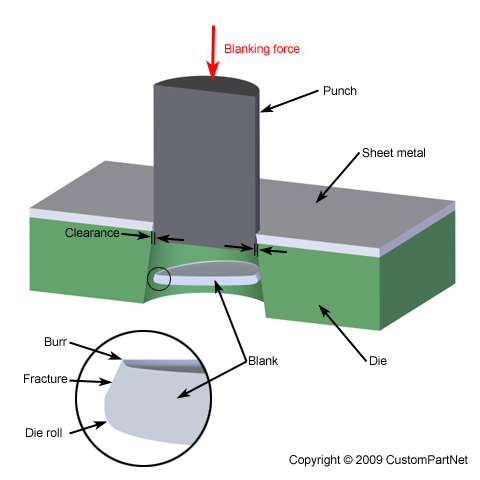 Generally, bending is to fold 2D parts into 3D parts. Its processing requires a press brake and corresponding bending die to complete the operation. It also has a certain fold order, the principle is to fold the place which does not produce interference to the punch die first, and then fold those place where produce interference. 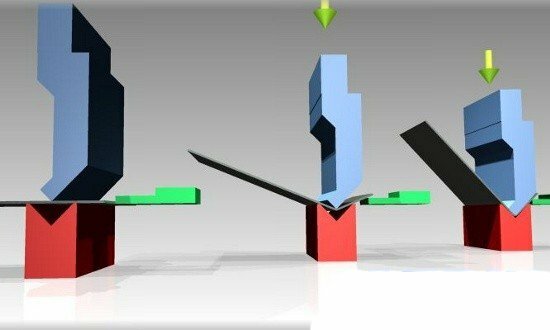 >> You can also check out The Ultimate Guide to Press Brake (2018 Updated) to fully understand things about press brake. 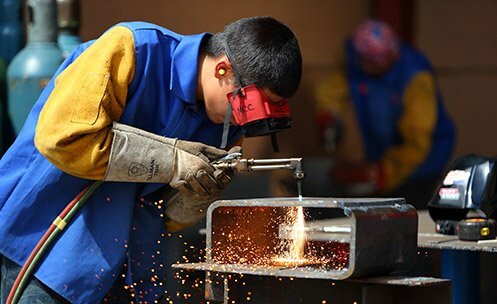 Welding is to weld multiple parts together to achieve the purpose of fabrication, or single part seam welding to increase its strength. CO2 gas shielded welding, argon arc welding, spot welding, robot welding, etc. 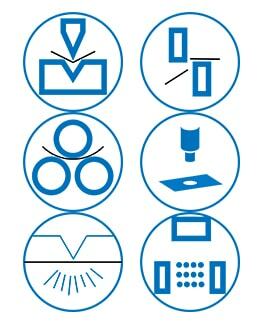 The selection of these welding methods is based on the actual requirements and materials textures. Robot welding is mainly used when the material is large and the weld seam is longer, such as the welding of the cabinet can adopt robot welding. It can save many tasks and improve work efficiency and welding quality. 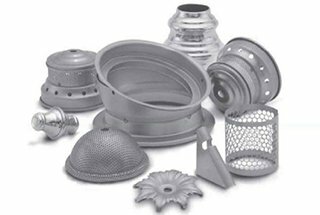 Surface treatment generally has phosphating film, electroplating colorful zinc, chromate salt, baking paint, oxidation and so on. The phosphating film is generally used in cold rolling and electrolytic plates, and its effect is to coat the material sheet with a protective coating to prevent oxidation. The other function strengthens the adhesion of the paint. The electroplated colorful zinc is generally used for cold rolled sheet surface treatment. Chromate and oxidation are generally used for surface treatment of aluminum plate and aluminum profile. The choice of specific surface treatment is based on the customer’s requirement. Assembly is to assemble multiple parts or components together in a certain way to make it a complete product. One of the things which need to pay attention to is the protection of the parts, do not scratch. Assembly is the final step for completing one whole product. 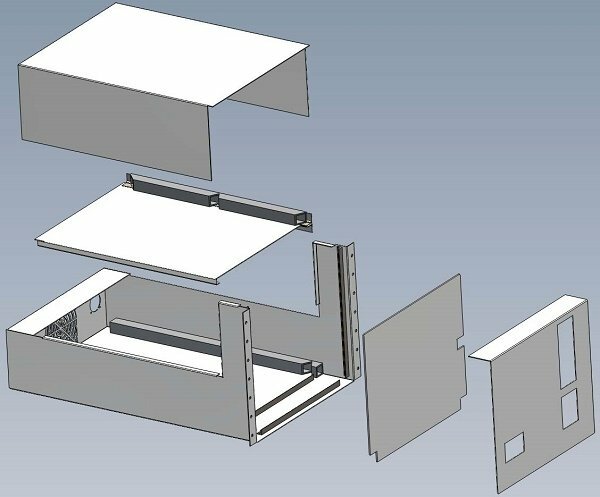 If the parts can not be used due to scratch, then it needs to rework, which will not only waste a lot of fabrication time but also increase the materials cost. Therefore, special attention must be paid for the protection of the materials. 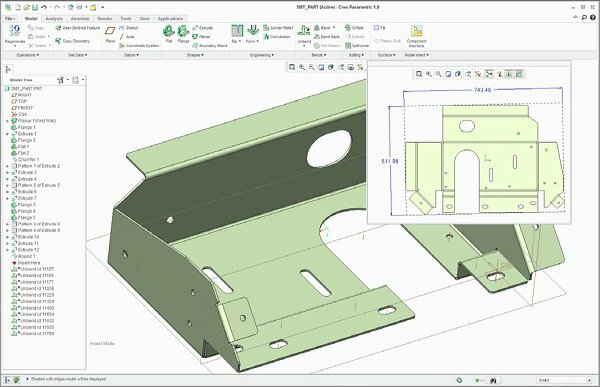 Thanks for helping me learn more about sheet metal fabrication. It’s interesting to learn that there could be different surface treatments depending on the steel, like chromate and oxidation are used for aluminum plates. I’m very interested to learn more about the application of these treatments and how they are applied differently. I found the bending process of metal fabrication interesting. It’s cool that they can be bent into such precise shapes. I’d imagine that precision is of utmost importance in an industry like that. thanks a lot for your good information. how can i print these? sorry Jahesh, print is not allowed here, however, you can check this anytime on our blog. We recommend you save our blog to your web browser bookmark for your future convenient checking. This article was good & belongs to my business. It is very help information for me and my business. Thanks for sharing. The post contains really valuable information. I have actually collected a lot of information from your post. Thanks for sharing such a great information to us. 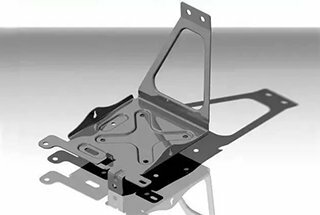 sheet metal fabrication is a great process to make steel and which is a very popular method around the world. Thank you for explaining that phosphating films are used in cold rolling and on electrolyte plates during sheet metal fabrication to protect it from oxidation. Not only would the resulting steel plates be resistant to rust, but they would also provide more adhesion for paints. This is just the kind of protection that my dad would aspire for should he decide to venture into quality sheet metal production. Since he’s into sculpture, he’d want the paint to be able to adhere to metal very well for them to last longer as outdoor fixtures.